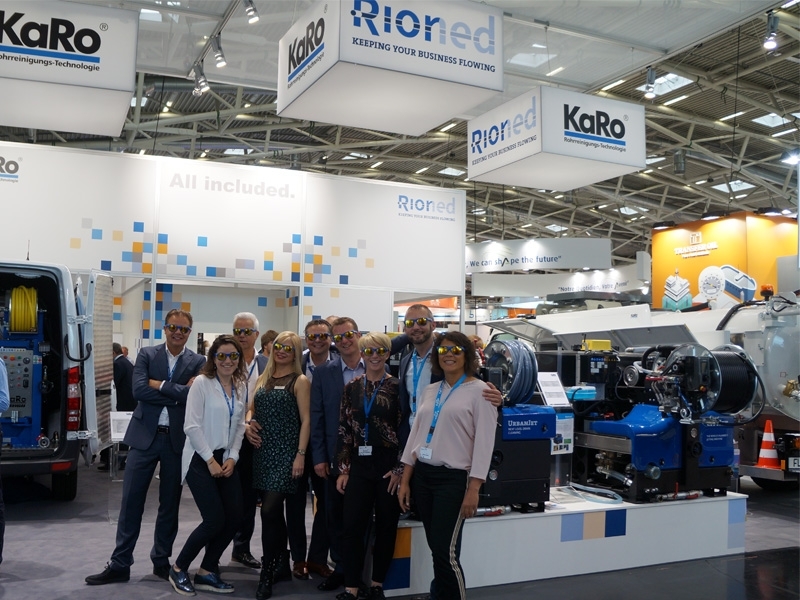 Team Rioned looks back on a successful IFAT exhibition in Munich with many visitors and interesting contacts. We shared our booth with sister companies KaRo Technik from Germany and Spartan Tool from the USA. They are distributing Rioned products in Germany and the United States. We’ve had many international distributors on our booth (check our international network and partnerships here). 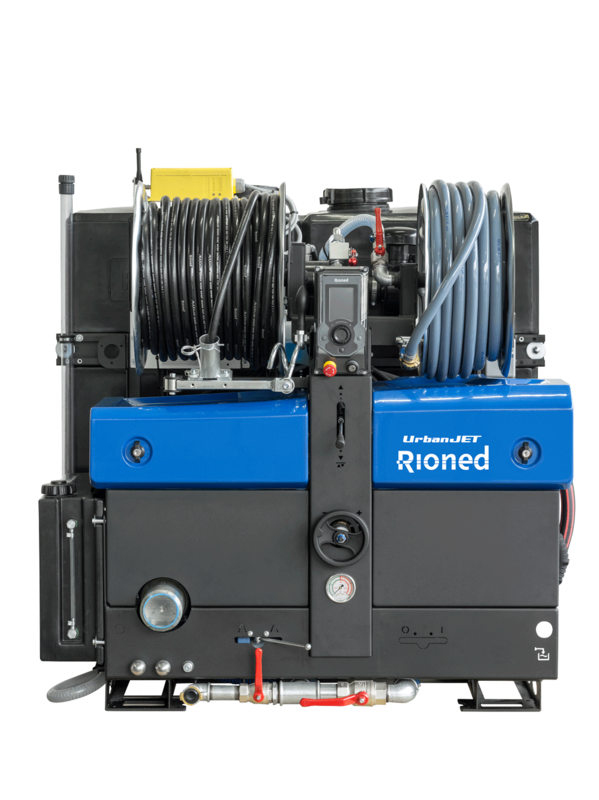 During the IFAT exhibition last month, Rioned introduced a new high-pressure machine; the UrbanJet. The new light weight UrbanJet is designed for cleaning pipes up to a diameter of 350 mm. Due to its low weight, this new high pressure sewer cleaning machine is ideal for use in 3.5 T vehicles such as a Ford Transit or Mercedes Vito. The new UrbanJet replaces the current AquaJet + and is available in two different capacities, 200 bar / 55 lpm and 140 bar / 70 lpm. This new machine is the ideal solution if you are looking for a powerful, lightweight machine. For more information, take a look at the product page on the website. There was also a lot of interest for our bestseller the CityJet, but also for the FlexCom and his tough brother the UrbanCombi. And the Rioned sunglasses naturally fell into good taste. The Rioned team looks back with satisfaction on a successful exhibition week. We are looking forward to meeting you at one of our upcoming tradeshows. Have a look at our website for an overview of the Events Calendar.